Honda look almost certain to swell the growing ranks of three-wheeled motorcycles emanating from major manufacturers, as they try to increase the breadth of appeal – and accessibility – of bike-based vehicles. 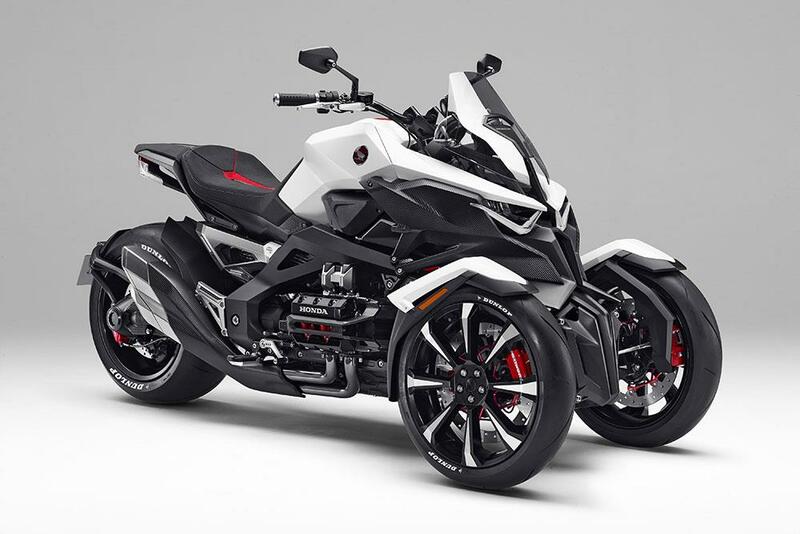 Ignore the outlandish bodywork on this Honda Neowing concept, underneath is serious engineering and this leaning three-wheeler has joined an ever-increasing number of Honda concepts for three wheelers spread across the range. 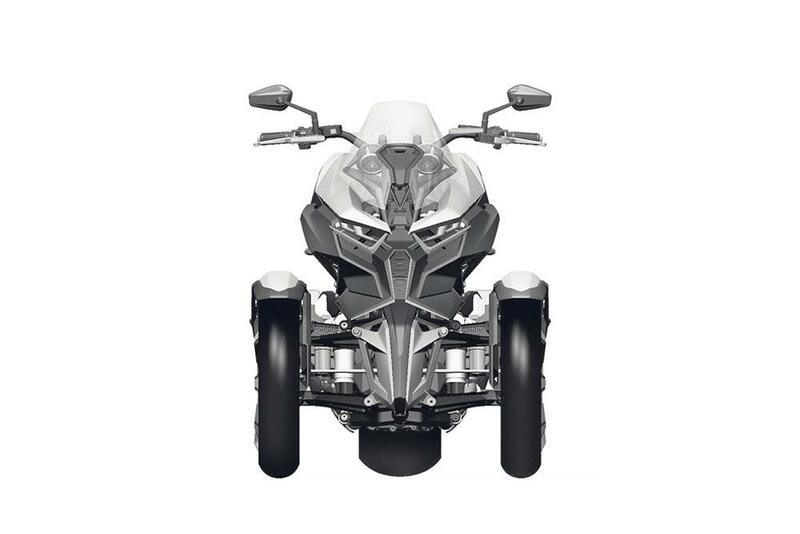 Aimed at blending the cornering feel and sporty ride of a large-sized motorcycle with the low-speed stability of a four-wheeler, the concept claims to boast a hybrid system that combines a horizontally opposed four-cylinder engine with electric motors to generate plentiful torque for powerful acceleration. MCN recently revealed Honda’s plans for a similarly highly advanced new Gold Wing – also with hybrid engine technology – which is not far from production, and while the Neowing concept has given us a glimpse of some of the Gold Wing’s technology it also appears to show a serious intention to make a leaning, three-wheeled derivative of the next-gen Wing. Putting aside the wild bodywork – at least the front and rear sections – there’s a machine underneath that’s far more production-ready than it first appears. We already know that the engine and hybrid systems are under development for production, as are the transmission and the final drive. The chassis even appears to share at least elements of the two-piece design shown in some of the Gold Wing patents, and the leaning front suspension is a well-designed and plausible double-wishbone set-up. There’s already a thriving aftermarket scene converting Gold Wings into three-wheelers, albeit in the more traditional trike configuration with two wheels at the back and no leaning capability. It caters to the growing group of riders, many of them ageing, who want the comfort and ability of a Gold Wing-like motorcycle, but aren’t comfortable with manhandling a 421kg motorcycle at low speeds. With the firm’s existing Gold Wing costing £23,499, the Neowing is unlikely to arrive at under £25k. Honda’s bean-counters clearly believe in the potential profit of this new direction, not just with Neowing, but from a three-wheeler platform perspective.